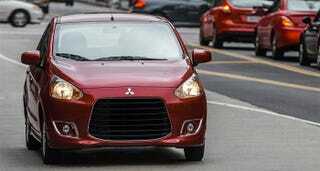 Mitsu decided to play it safe with the Mirage's design. The result is a front end so bland it's virtually invisible. Here's what it would look like if they'd gone Full Catfish.